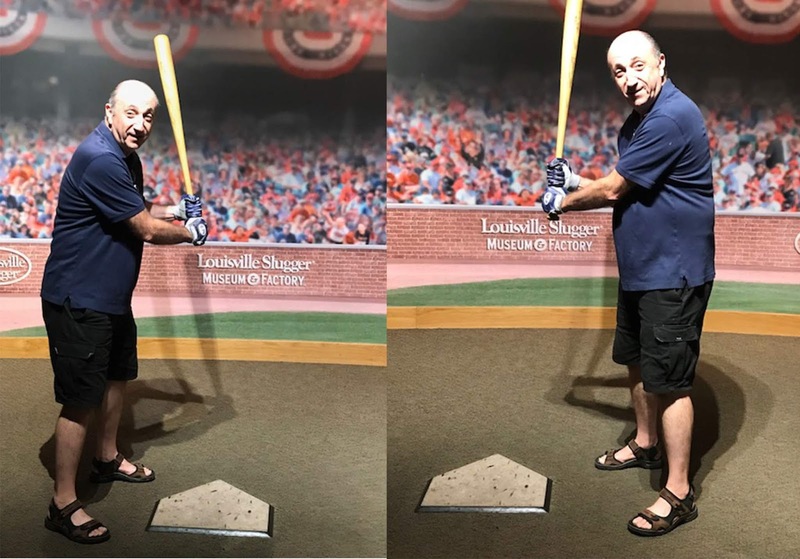 While in Louisville a trip to the Slugger Museum and Factory was in order. 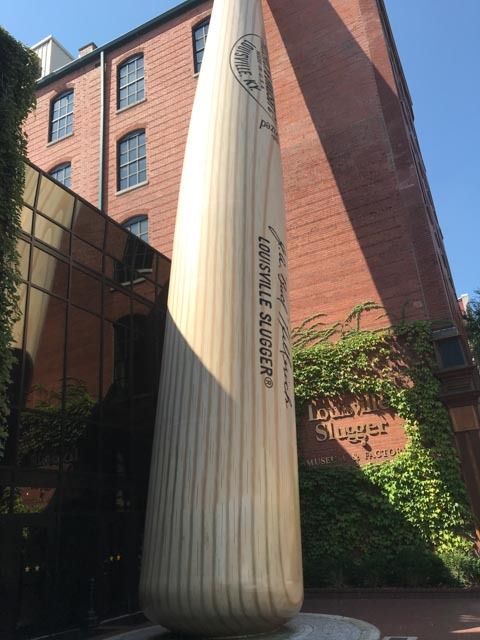 This is the only place they continue to make the wooden maple or older ash bats. (They do make some metal bats overseas). 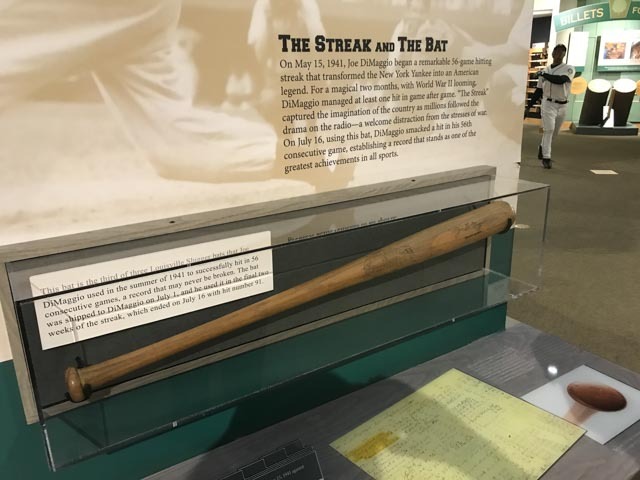 There are different brands of wooden bats used in the bigs but Louisville's are still the most known to the average fan. 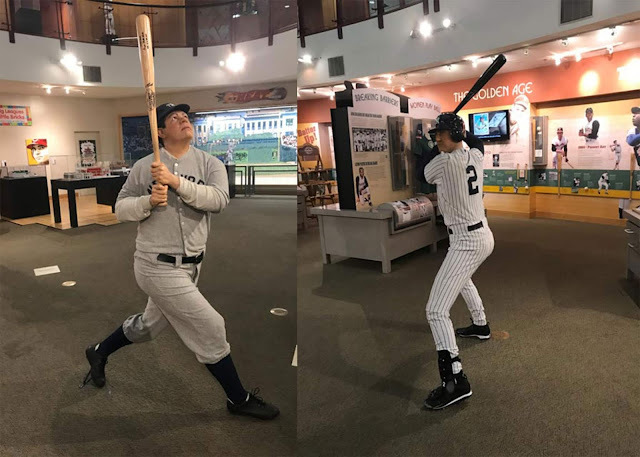 Jeter notes that he used the same model bat from Little League through the majors. While ash wood is still used the majority of bats are now maple. 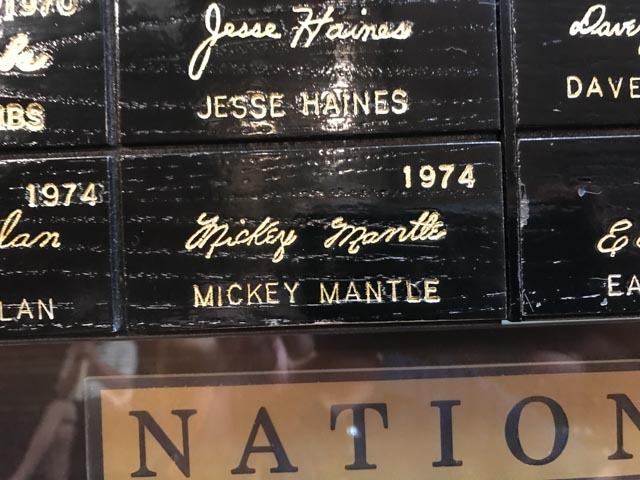 Some very cool artifacts are here in the museum including the bat Joe D hit his 56th game record setter.